Scott Watson helps his clients see their labor and employment issues in the context of their overall businesses: not simply in terms of legal compliance or litigation defense but in regard to their employees and human resource policies within the workplace — to help them conduct their responsibilities not only under the letter of the law but within its spirit. Small client or large, discrete or across-the-board issues, Scott has been practicing for two decades and has seen every angle of labor & employment law. He is also a firm leader, as the co-managing partner of our Chicago office and the former national chair of the Labor & Employment Practice Group. 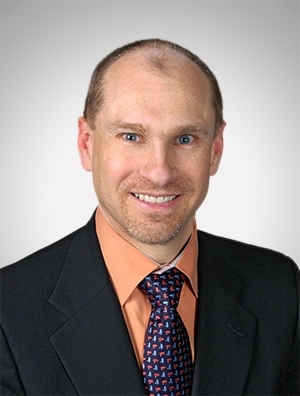 Over the past two decades, Scott has amassed comprehensive experience in his field, handling arbitration, mediation, federal and state agency discrimination claims, federal and state labor board claims, and federal and state litigation. He has successfully represented employers in cases involving Title VII, the Americans with Disabilities Act, the Age Discrimination in Employment Act, wage disputes, and labor arbitrations as well as other statutes and venues. A former educator and sports coach, Scott approaches the practice of law in much the same way as he approached his former profession: teaching, helping, clarifying, anticipating needs and next steps, and guiding his clients such that they learn from him and need less day-to-day advice. And when trouble arises (usually in the form of litigation), he’s always there to help them. Scott’s profession is about helping businesses succeed, but he views it as helping people succeed. His approach to each client is an approach to individuals, with individual needs and goals.